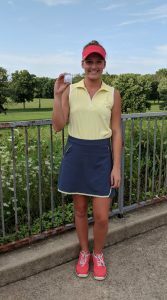 Here is a photo of Abby Miller after winning medalist in the Beech Grove match a couple of weeks ago! Congrats Abby! !